The Maharashtra government’s ambitious Virar-Alibaug multi-modal corridor is likely to take off soon. The Mumbai Metropolitan Regional Development Authority (MMRDA) will issue tenders for phase 1 of the project in June, senior officials confirmed. The ambitious corridor, which is set to halve the time of travel between Virar and Alibaug, has been divided into two phases. While phase 1 will see construction of a 98.5-km highway between Navghar and Balavali, phase 2 will be a 29.9-km link from Balavali to Alibaug. The first phase is expected to be completed by March 2022, while the entire corridor is expected to be functional by the end of 2022. The MMRDA is also expecting the environmental, forest and wildlife clearances by March. The total land required for the project is 583 hectares, of which 180 hectares is forest land. The agency got the coastal regulation zone (CRZ) clearance for the project in the end of 2016. The corridor will be 99-m wide with a 30-m Metro line running on the median. The eight-lane highway has been designed to promote new growth centres in the city’s hinterland and also decongest the metropolis. Khandare said the process of land acquisition has been initiated. “We have requested collectors to begin the process. Notices are being issued to land owners,” he said. The MMRDA will adopt land-pooling method for the project, which is being used for the 710-km Mumbai-Nagpur Super Communication Expresssway. In land pooling, small chunks of land owned by private owners are clubbed together for a public project in exchange for a share in the developed land. It turns landowners into stakeholders in a project. State-run Energy Efficiency Services Ltd (EESL) has invited a bid for 2,000 electric vehicle chargers for the second phase of its EV programme, which will see the rollout of 9,500 electric vehicles across different states. "We have invited the bid for 2,000 electric vehicle chargers. We will need more chargers, of course, but we want to do it in phases," Saurabh Kumar, managing director at EESL, told ET. EESL, which is a joint venture of PSUs under the power ministry, had floated a global tender for 10,000 electric vehicles to replace the government fleet. The tender was split in two parts, where 500 vehicles were to be procured in phase one, while the remaining would be procured in the second phas ..
​The solar kits will be installed in rural areas with no connection to the country’s power grid. 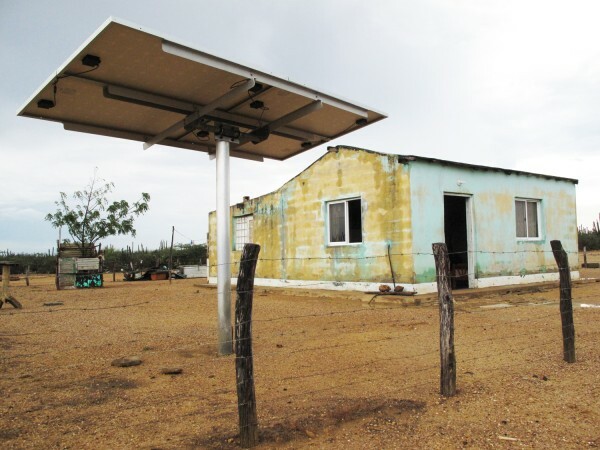 The Subsecretary of Renewable Energy of the Ministry of Energy and Mining of Argentina has launched a tender for the supply of solar PV kits to 120,000 rural households within the frame of the PERMER project. The supply includes the acquisition of both low-power solar home kits and rechargeable solar lamps, and the operation of the facilities for a period of three years, extendable for another two years. The tender will be held through a competitive procurement process with an international focus, said the Subsecretary of Renewable Energy. Bids must be submitted no later than Thursday, March 15 at 12:00 hours. The PERMER program is financed by the World Bank. Each installation planned in the framework of the project consists of two photovoltaic panels with a total power of 120 Wp, a battery, a control board and five lamps of 18 W.
The implementation of each project is carried out in an articulated manner between a Project Coordination Unit (PCU) of the Subsecretary of Renewable Energy, and the local provincial governments. The PERMER allows access to energy in a clean and renewable manner and is a policy of social inclusion that is aimed at generating greater equality of opportunity and an improvement in the quality of life of the population, the Subsecretary of Renewable Energy asserted. The BBMP on Friday opened the technical bid from the sole bidder for its proposed pod taxi project. While scrutiny is still on, commissioner N Manjunatha Prasad said, in future, more tenders will be floated for other routes. "We have floated the tender. The technical and financial bids have to be evaluated. We had initially suggested five routes, but the bidder will be free to choose any one and implement the project on that route. Once that is successful, we will float more tenders for the other stretches identified," Prasad said from New Delhi. The Palike had originally identified these routes — Trinity Circle to Leela Palace (4km), Leela Palace to Marathahalli Junction (6km), Marathahalli Junction to Whitefield (6.5km), MG Road Metro station to Koramangala-HSR Layout (7km), Jayanagar 4th Block to JP Nagar 6th Phase (5.3km) and Sony Junction to Indiranagar Metro station (6.7km). When it floated the tender, the Palike clubbed at least three of these routes and called bidders to implement the project on a 30km stretch from Trinity Circle to Whitefield via Old Airport Road, with 12 major stations. Also, given that the route was passing through Old Airport Road, it had decided to add a couple of stations off the road connecting it to Byappanahalli through Suranjan Das Road. However, in response, the BBMP received just one bid from a consortium comprising Smart Personal Rapid Transit Systems, Ultra PRT and Bengaluru-based Embassy Property Developments Private Limited. Bengaluru development minister K J George had told TOI on Thursday that the tender was called for a pilot and that it was aimed to help IT workers in Whitefield and Byappanahalli areas. According to Praveen Lingaiah, executive engineer, traffic engineering cell, the bidder has proposed to execute the project on more routes than what BBMP had sought. "The bidder has offered to implement the project even in HBR Layout, Kalyan Nagar and Nagawara, among other stations proposed, which we had not sought for in the tender," he said. While officials indicated that it might be the latter, there was no official confirmation about it. Lingaiah said once his team scrutinizes the documents to ensure they meet all technical specifications, and once they are approved by senior officers, the BBMP will open the financial bid. Reliance Infrastructure Ltd (RInfra) has emerged as the lowest bidder in a ₹567-crore EPC tender, floated by NTPC for setting up a system, which will remove sulphur dioxide from the exhaust gases of the Jhajjar power plant, sources said. The national power company runs a 1,500-MW thermal coal-based power plant at Jhajjar, Haryana. The plant has three units of 500 MW each. When thermal coal gets burnt at a power plant, sulphur dioxide along with other hazardous chemicals are emitted in the exhaust gases, which are also called flue gases. RInfra will install the Flue Gas Desulphurisation (FGD) system at the plant. The FGD system will help curb the pollution and improve the air quality around the plant. Considering the dipping air quality in the vicinity of coal-based power plants and the resultant health hazards, the Union Ministry of Environment, Forest and Climate Change had notified in 2015, the revised standards for emissions to be met by thermal power plants. Meeting of these standards requires comprehensive retrofits of power plants with FGD system in the operating units as well as units under construction. RInfra has emerged as the lowest bidder amid stiff competition from other EPC players such as BHEL, L&T and Mitsubishi Hitachi Power Systems, sources said. The overall schedule for the project is 20 months from the date of allotment for the first unit with subsequent units at three months interval. The Open Geospatial Consortium (OGC) has invited interested organizations to respond to Part 2 of the OGC Testbed 14 Call for Participation. Part 2 is concerned with the European Space Agency’s (ESA) Exploitation Platforms, which is part of the Testbed 14 Earth Observations & Cloud (EOC) Thread. Part 2 – an Invitation To Tender pack (“Part 2 ITT” or just “ITT”) was released on December 14. Please visit the European Space Agency EMITS site for this Invitation to Tender pack. Each solicitation stands on its own, and there is no need to refer to the Part 1 CFP part in order to formulate a response to the Part 2 ITT. Organizations selected to participate in Testbed 14 will develop prototype solutions based on the sponsors’ use cases, requirements, and scenarios. These are described in detail in the CFP and ITT. Participants’ prototype solutions will implement existing OGC standards as well as new prototype interface and encoding specifications introduced or developed in Testbed 14. Prototype specifications may ultimately become official, member approved OGC standards, revisions to existing OGC standards, or best practices for using OGC standards. Making arbitrary applications available on cloud infrastructures or exploitation platforms in a standardized way is a key technology for Big Data in general and particularly true for Earth Observation satellite data processing. When the transport of large amounts of data is not feasible, or simply not cost efficient, processes need to be shipped and executed as closely as possible to the actual data. Testbed 14 continues the work initiated in Testbed 13, which experimented with different options to describe, for example, the mounting of external data to Docker containers, discussed different elements to be included in the Application Package itself, etc. During the first third of the project, Testbed 14 participants will develop a clear recommendation on the various aspects left open by Testbed 13. This is a consensus process that needs to be supported by all participants. Singapore Expo is owned by the Government and currently has 108,000 sq m of indoor exhibition space after an expansion in 2012 added a new convention wing, Max Atria, to the facility. It sees an average of six million visitors each year. 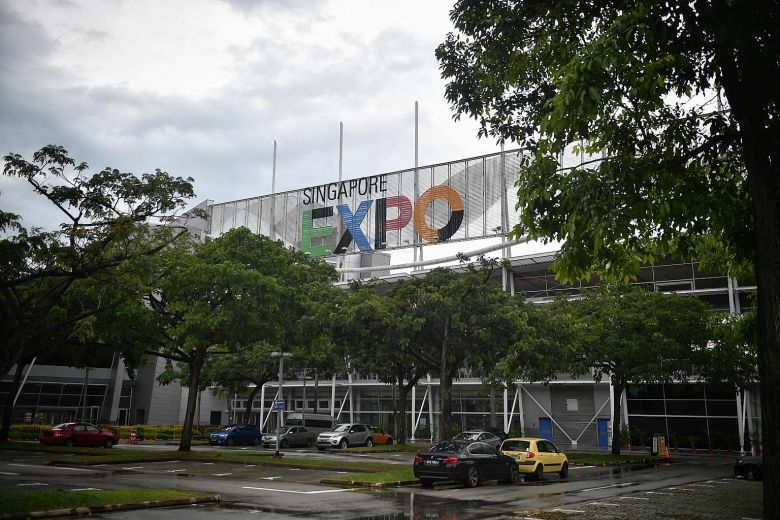 A change of management for the Singapore Expo Convention and Exhibition Centre may be on the cards by the end of the year, with the Singapore Tourism Board (STB) calling for proposals for the management and operation of Singapore's largest exhibition venue. A public tender was launched on Dec 6. The 20-year contract for the facility has been held by Singex Venues since 1999 but will expire at the end of this year. The meetings, incentives, conferences and events (Mice) sector here has been seeing an uptick in recent years. ​Singapore Expo is owned by the Government and has 108,000 sq m of indoor exhibition space after a 2012 expansion added a new convention wing, Max Atria, to the facility. Mr Chew Tiong Heng, STB's executive director of infrastructure planning and management, confirmed to The Straits Times that the tender, which closes next month, is intended to appoint an operator for the venue, which hosts around 600 events and an average of six million visitors each year. The Mice industry in Singapore has been on the rise, with global organisers picking the Republic as a destination for key events such as the Industrial Transformation Asia Pacific this year and the Rotary International Convention in 2024. STB supported 410 business events in 2016, compared with 350 in 2015 and 270 in 2014. These events generated $611 million, $478 million and $459 million in tourism receipts respectively. Japanese trader Sumitomo Corp. and India’s Jindal Steel and Power Ltd are among eight bidders competing for Indian Railways’ first global tender to supply 487,000 tonnes of rails, a government official told Reuters. The other bidders are East Metals AG, a unit of Russian steel and coal producer Evraz, Austrian company Voestalpine Schienen, CRM Hong Kong Trading Ltd, New Delhi-based Atlantic Steels, French company British Steel France Rail and China-based Angang Group International, according to the official with direct knowledge of the matter. The official declined to be named because the information is not public. The tender was opened earlier on Friday. Railways chairman Ashwani Lohani, spokespeople at East Metals AG, and Austrian company Voestalpine did not immediately respond to emails while spokespeople at the other companies could not be contacted. The tender will end the monopoly of state-owned Steel Authority of India Ltd (SAIL) in supplying rails to the world’s fourth largest rail network. Loss-making SAIL has struggled to meet railways’ rising demand. The steel and rail ministries, however, have been at loggerheads over the state-run network’s decision to buy rails from overseas, despite assurances of supply from SAIL and New Delhi-based Jindal Steel and Power. 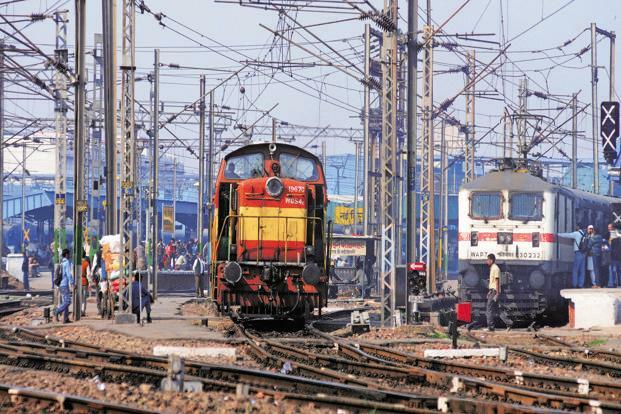 Following several meetings, the railways slashed its tender size by more than 30% to 487,000 tonnes of rails after SAIL said it would scale up supply to 950,000 tonnes in 2017/18 and 1.5 million tonnes in 2018/19, according to the minutes of a committee meeting held on 21 December. Modi’s office recently asked all government departments to prioritise the use of local products in state projects, after domestic companies objected to the tender by the railways. 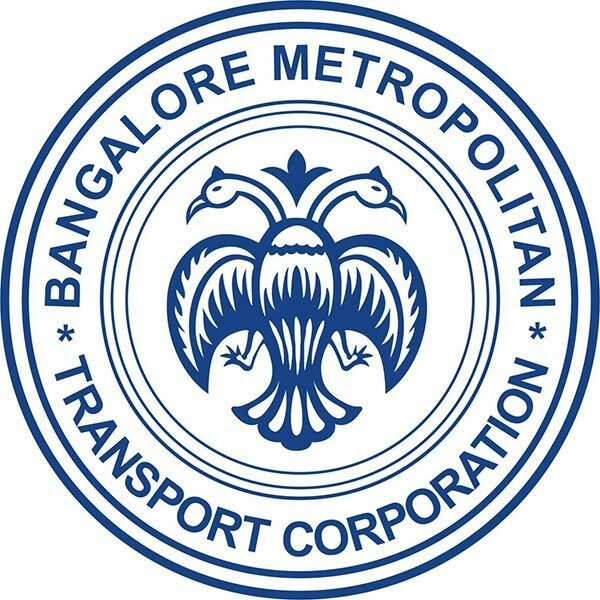 The Bangalore Metropolitan Transport Corporation (BMTC) is inching towards realising its ambition of introducing a fleet of electric buses, and has floated a tender for an operator to run the fleet. The operator will have to supply 150 electric buses and reach an agreement with the Corporation to operate them for 10 years. If all goes as planned, the BMTC will be the first State-run corporation in the country to operate electric buses on ‘Gross Cost Model'. The successful bidder will be paid by the BMTC on a contracted rate per kilometre basis. “We are hoping that bus manufacturers, private operators or a consortium will participate in the bidding,” said V. Ponnuraj, managing director, BMTC. Given the scale of the initiative, the transport corporation is seeking a bidder who will not only provide the fleet, but also the required manpower, including trained drivers and technical staff, and invest in infrastructure such as charging points. The BMTC will deploy conductors in each bus to collect the fare and decide the quantum of fare, the routes, and schedule of operations after reaching an understanding with the operator. Officials expect the cost to be within ₹300 crore. “A few years ago, the cost of a single electric bus was ₹2.5 crore. We are hoping the price will come down as the result of falling battery costs,” said an official. “The operator will receive an incentive under the scheme for Faster Adoption and Manufacturing of Electric Vehicles India (FAME India), which is ₹1 crore per bus. The project cost may be lower than ₹300 crore,” an official said. On the fare, the official said, “We are planning to make it more affordable for the passenger. The fare may be lesser than the AC bus fare.” However, he added that it would be difficult to reveal a figure at this stage as the fare would depend on the final outcome of the tender process. The tender document suggest that the BMTC is planning to operate either nine-metre buses with 31 seats or 12-metre buses with 42 seats. The operator should make sure that each bus runs for 200 kilometres every day, and that the entire fleet of 150 buses should be available for operations with manpower and supervising technical staff. 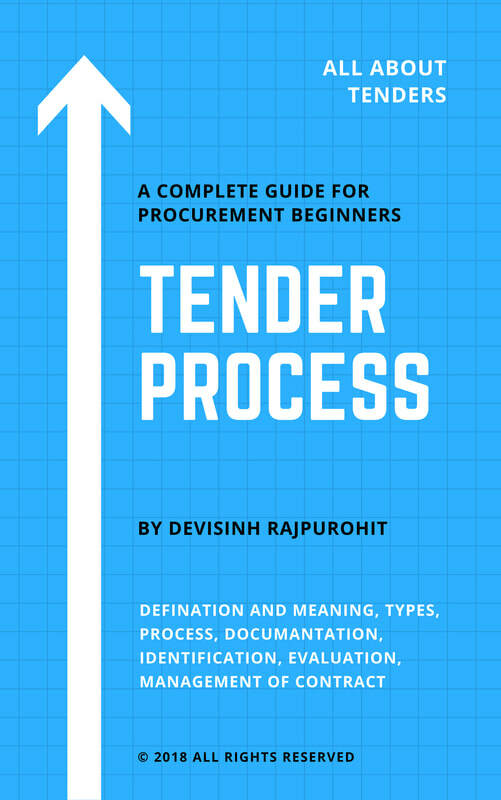 Tender Process | End of your Search..! !